Courtesy of the fine folk at RollonFriday, here is a sensitive, well-judged and highly impressive job application. I am in a warm place where there are waves. I surf them when I can, which is often. When I'm not surfing, I read. On the way here, I read The Sea Close By and Summer in Algiers by Albert Camus. Before that I finished The Postman Always Rings Twice by James M. Cain and now I am immersed in 2666 by Roberto Bolano. 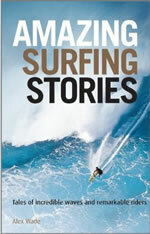 Is there a link to surfing in any of the foregoing? Each wave brings its promise, always the same. What does the wave say? If I were to die, in the midst of cold mountains, unknown to the world, cast off by my own people, my strength at last exhausted, the sea would at the final moment flood into my cell, come to raise me above myself and help me die without hatred. Albert Camus, writer, goalkeeper, existentialist - and sage of the meaning of waves.